So some of you already know, I'm working on another project for my Camaro. Goal is to gather parts this summer, then over fall/spring swap everything in and have it done for next year. Project is simple enough; L67, 3.4 pulley plus supporting mods, 6-speed manual, limited slip rear end. This will be a good time to replace ball joints, tie rod ends, suspension bushings, bump stops, etc. On the 6-speed front, the obvious and only bolt-in-able option is the T-56. I've been watching the prices on them for the last two years, $2000 gets you a used one that probably needs a rebuild, $2500 gets you a used one, $3000 gets you one that's already been rebuilt or whatever. It's further limited to only being able to use the T-56 from an LS Camaro, as that's the only adapter plate available. Minimum cost to get a T56 running behind a 3800 is $3500 once you factor in flywheel for the L67, new clutch, master and slave, etc. So, that's not going to happen. Instead I'm looking at the TR-3160. It's the transmission in the 2013+ ATS behind the 2.0l turbo, and the '16+ Camaro and Mustang GT350. On paper it look to be a very solid unit considering the goals for my camaro. The rear end in my car is (i think) a 3.42, I'd have to double check. I know that at 70mph I'm turning 2500rpm. The only option for the TR-3160 for a lower 6th than the T5 comes from the GT350; which defeat the purpose of using the TR-3160. And what is that, you ask? Locally I can get TR-3160's for $800 with low miles in a Cadillac, and being a Cadillac it gives me a fairly reasonable confidence that they are not used and abused. So I'd have to change (at least) to the 3.23 from a V8 auto camaro, but I wanted to change to the V8 rear end anyway. So there are some challenges to a swap like this, I figure on using the F-body clutch, and Spec should be able to attach any hub/length to it. Then there's the starter provision, which probably is going to be a cut and weld operation if the T5 bellhousing isn't a good option. Then I need a custom driveshaft, and will have to fab up mounts and adapt my clutch line. Without having the transmission on hand makes it even harder. I have to either use an adapter plate on the block or adapt the T5 bellhousing over. That's without even getting into shifter location, etc. The problem is I can't find any information, dimensions, bellhousing bolt pattern, anything online about the TR-3160. And that's the stuff I would like to have now, to help decide which way to go with the swap. I've seen a little info on the GT350 one, but it looks to have a really far back shifter that's not at all the same as the Cadillac, but the bellhousing appears shorter as well. The GT350 one is 34" from bellhousing to shifter, the Caddy one looks close to 5" shorter, which is very close to the T5/T56 in the camaro. So because Cadillac people aren't normally the type to need to know or publish any of that, any ideas aside from taking the chance on one to find the info? 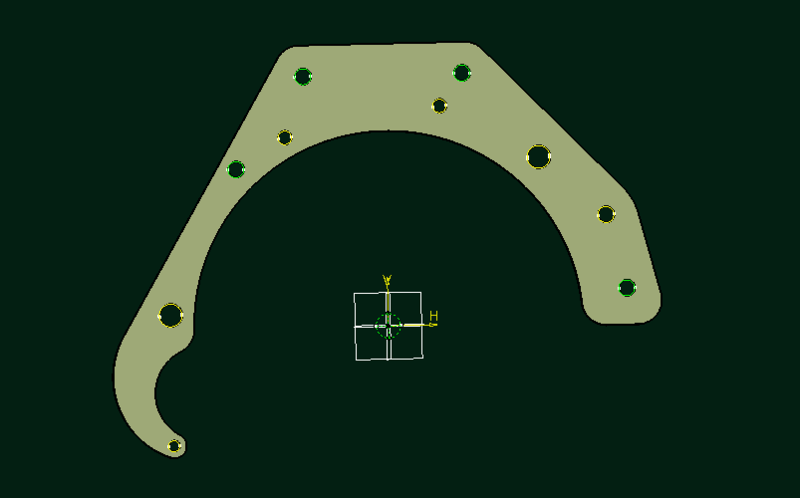 The first hurdle is the bolt pattern dimensions, because if the bellhousing doesn't fit over the 3800 flywheel I have to plan on adapting the T5 bellhousing to it, which means machine shop time to take all the measurements for an adapter plate. Blow all the things! Wait, I meant boost. Boost! The plot thickens - looks like the Cadillac uses a gen3 ecotec motor. Which if I'm reading is the same bolt pattern as the gen2 ecotec. Looks like the dowels on the ecotec pattern line up with the dowels on the 60 degree pattern. So that actually helps a lot, because it means I don't have to rely on the adapter plate to be absolutely perfect, Which is something I was concerned about when I had the adapter made for the truck. OK, so assuming that everything I've found online is correct, it looks like this swap is best achieved with the adapter plate method. The bellhousing on the TR-3160 incorporates bearings or something for the transmission, so a bellhousing swap is impractical. The Ecotec bolt pattern shares dowel pin locations with the corporate 60 degree pattern (relative to crank centerline), but the trans has to be rotated 6.82 degrees counterclockwise. The trans in the Camaro is rotated something like 17 degrees CCW, so while not perfect it's somewhat close. It looks like the starter is on the same side, so there's a chance that starter accommodation will work out of the box, or that modifications to the bellhousing will be less intrusive. Flywheel on the 3800 is slightly less than 12" diameter. I can't find specific information on the Cadillac flywheel, though bolt pattern suggests the flywheel should fit inside the bellhousing. Which means I should be able to use the F-body flywheel and clutch plate setup. Obviously, I'd need to have parts on hand to see what kind of spacers I'd need for the TOB. So at this point, I'm relatively confident in this swap. 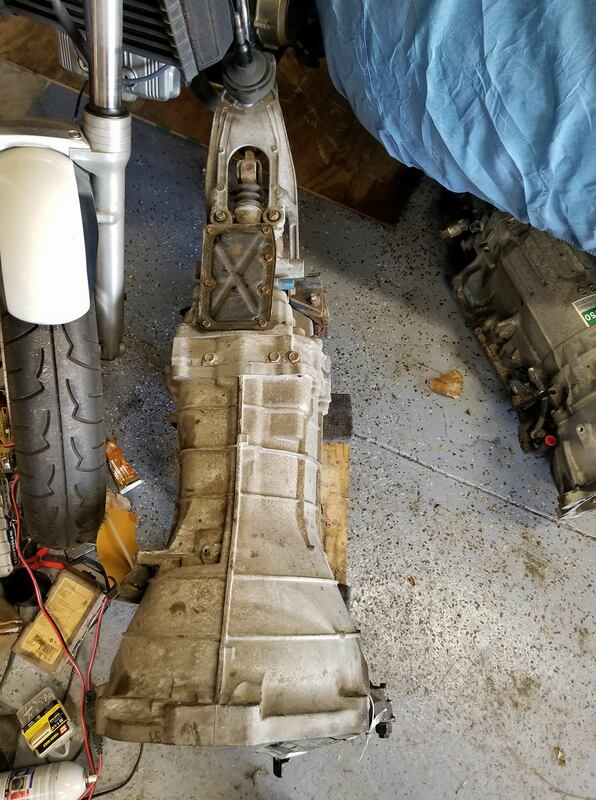 I figure it's going to be about $600 for the custom drive shaft (it has to be a slip style to make things simpler), $100 to waterjet a 1/4" stainless adapter plate, $400 for the clutch, $100 for the clutch line adapter, and $800 for the trans. So $2000 to get it in the car, give or take a few hundred. It's strong enough to be reliable at L67 power levels and it's not much heavier than the T5. In general it seems like a good fit, all things considered, and it doesn't have that ridiculous 6th gear ratio that the t-56 has. Another option that was recently suggested was to adapt the Nissan CD009 transmission (another cost-effective alternative to the T-56). The interesting point about this trans is it's apparently 1000hp capable, and can be had for around $550. So, I did the walk... I would need the bellhousing from the illusive Aisin auto 4sp from a 2004 3.5l Rodeo, because the Aisin in it is derivative of the AW4, which is derivative of the Toyota A340e - which is a 2JZ trans. This gives you the interesting ability to bolt the 3800 up to an A340e, and with the use of a case adapter, you can bolt a CD009 to a 2JZ ---> Therefore, you can bolt a CD009 to a 3800. Hurdles there are you have to cut the bell housing off the CD009 first, and the clutch plate stackup is unknown. The intended application of that adapter requires a twin disk clutch, or a custom flywheel with a single disc clutch. The single disc clutch would be from a '95 300ZX turbo, which is a 240mm diameter friction plate. The stock Camaro friction is 246mm, so in theory I could use my 3800 flywheel and pressure plate with a single disc clutch. But as far as I can tell, I would be the guinea pig again in figuring out that stackup. There's no way of knowing if the 60 degree bellhousing for the Aisin has the same stackup that works with these adapters (depth so the input shaft fits the clutch hub properly it at all); and no way of knowing if I have to cough up for the twin disc setup or can get the single clutch setup to work. There is no roadmap that I've been able to find documented. Then there is another interesting option, as there is a far simpler LS adapter for the CD009 in the form of Camaro LS adapter cover plate. But, I have no idea if my T5 bellhouse would bolt up to that. Even with what appears to be a 'better' option, I'm still stuck with the possibility of having to have a custom made friction plate that has a not-stock hub. Man, this stuff would be easier if I had access to a salvage yard that had a lot of these parts on hand... I could mockup parts without spending money. lol. Edit: Just learned that it looks like the CD009 uses a traditional slip-yoke, which means the custom driveshaft for that could be about 1/2 the price of a slip-style driveshaft. I guess I need to get my hands on that Aisin bell housing and take some measurements - maybe one of the CD009 adapter vendors can use those dimensions to determine what clutch options might work. Very interesting project. good luck with it. Please keep us informed. 1997 SSEI 3.8 L67 149,000 miles Moonroof, Polished Gen V w/L32 intake, 3.5 mod. Pulley, SD Headers, MagnaFlow Cat 94109, Catco catback, Autolite 103s, 180 stat, Intense FWI, 1995 OEM trans cooler, Cleared corners. KYB Excel G struts and shocks. Yes you can swap a T56 in for a T5 on a 3800, but you may need an adapter plate, and perhaps to switch to an LS1 input shaft which is longer than the LT1 piece, or so I have read. I stopped following the intricacies of this a while back but there are some people who have already and are currently doing this at fullthrottlev6.com. I'd suggest a search there. T5 will not likely play well with big power for long without at least doing some internal upgrades, but you might give it a shot and see how long it goes. In the long run replacing the five speed is a good idea. On the rear - the v8 rear is the same as the v6 rear but you either have rear discs or you don't. They are all ten bolts. You just want to pick your gearing and open/lsd wisely. BTW the LS1 driveshaft should swap into the 3800/t5 car with no modification. So it is possible to run a T56 on a 3800. Seem as though some on FullthrottleV6 have done this. It might be easier more cost effective than what you're getting into now. Yeah, there is a fairly well documented process to put a T56 behind a 3800. 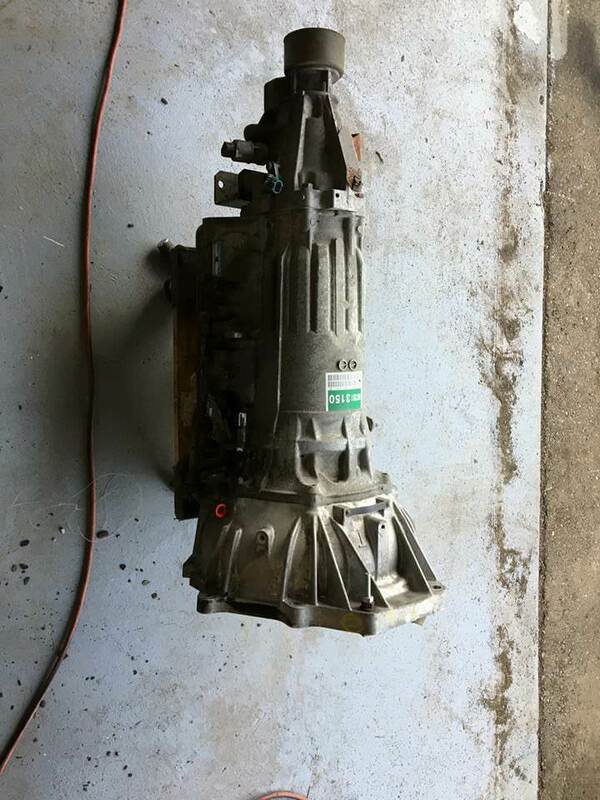 My issue is with the cost of the transmission, $3k to get one that's in good shape. The lure of the CD009 trans is I can get it from a u-pull for dirt cheap; even the regular yards have them for around $500. The TR-3160 is a little more, but still less than $1k. Any trans other than the T5 is going to need either an adapter to bolt it to a new bellhousing or an adapter plate, so that's a wash. The driveshaft and rear end have to be changed either way, I'd need a new clutch either way, etc.. The only thing that makes the T56 better (to me) in terms of a swap it that it has a road map and parts list established. I wasn't sure if you had seen anything on T56 conversions. Apparently the CD009 is the go-to for 2JZ swaps, supposedly 1000hp capable with stock internals and upgraded clutch. It's probably not as strong as a T56, but still, for a 3800? So I pulled the trigger. Going to chase the CD009 down the rabbit hole. Plan is to pull the bell housing and sell the rest. Came with the entire clutch package, actually looks like it's in decent condition. Also grabbed the driveshaft for the yoke, or the 5% chance it will just bolt in. 2009 Chevy Silverado 2500HD crew cab, 6.0, Z71. The project mover. Thats actually not that bad. 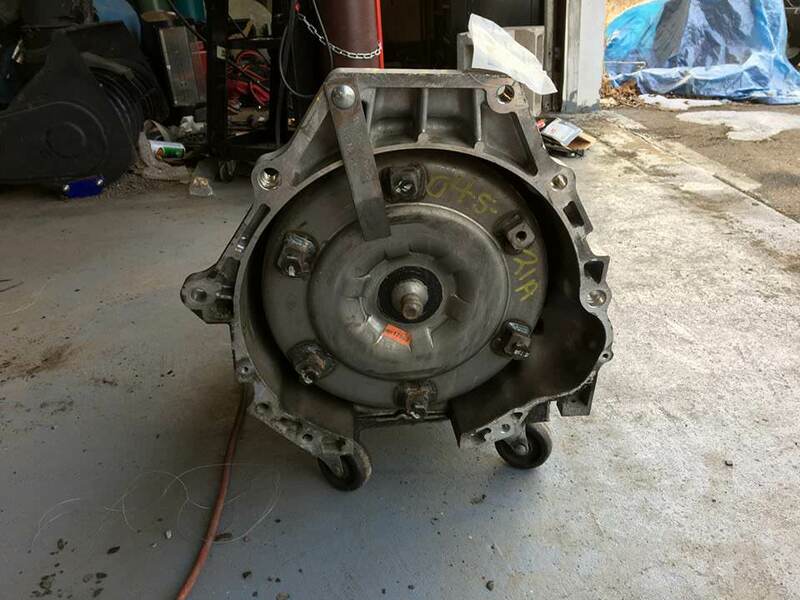 4t65e hd trans in my 96 se?